How Much Does a High School Athletic Coach Make? If you love working with kids and sports, you might want to find out more about the high school athletic coach salary. Coaches lead practices to prepare students for upcoming game and then they attend those games with players. They also spend time much of their own time creating new plays and working with the budget. While many schools hire coaches who can also teach classes, other schools have larger budgets and hire dedicated coaches. Knowing more about the job is a simple way to determine if it’s the right fit for you. What do High School Coaches do? High school coaches foster the development of new and existing players. They hold tryouts for new players prior to the start of the season and work closely with school administration to ensure that the team meets state requirements. Schools also require that coaches travel with teams for away games and any special exhibition games. Coaches at the high school level may also help players with problems they have off the field, including school performance challenges and issues at home. According to the Bureau of Labor Statistics, the median high school athletic coach salary is $22,140 a year. This includes coaches working for both private and public schools. Those working for private organizations, colleges and other organizations make slightly more each year. The BLS also reports that the outlook for this field is high. The high school coaching field will grow by approximately 15 percent by 2022, which indicates an increase of more than 36,000 new coaching positions. Those capable of both teaching and coaching may have a better chance of finding a job than those with only a coaching background do. U.S. News & World Report lists Athens, Georgia as the best place in the country for coaches. Coaches working in there make an average annual salary of more than $105,000 a year. U.S. News & World Report also added Auburn, Alabama and College Station, Texas to its list of the top paying cities for coaches. Rounding out the list of the top cities are Champaign, Illinois and Morgantown, West Virginia. Each of the cities that made the list have an average salary of more than $70,000 for its athletic coaches. Typically, high school athletic coaches are required to have a college degree. If you plan on working as both a coach and a teacher, you will also need a teaching license from your state. High school athletic coaches are required to pass a criminal background check and will need certification in both CPR and first-aid, which will help them assist their students in emergency situations. 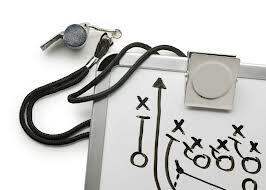 Some schools may also require that coaching applicants demonstrate knowledge and experience in sports related fields. Coaches working at the high school level often played in high school and college and continue playing in a recreational league. Smaller schools will often hire coaches capable of teaching one or more classes as well. Athletic coaches do more than just stand on the sidelines and lead plays. They spend a large portion of their time coming up with new plays, helping players understand the rules of the game and working closely with their players. Looking at the average high school athletic coach salary will help you decide if you want to be a coach and if you should also become a teacher.